Last year was a bit of a wake up call for me. For years I’ve been promoting shopping secondhand on my blog trying to keep items out of landfills. Last year I started making more environmentally positive changes to the way I live my life and the decisions I make. We’ve been doing this for as long as I can remember. We have both green bin (biodegradable or compostable) recycling and blue bin recycling. I didn’t realize until a few months ago that items which go into our blue bin need to be clean and 100% free of any food residue otherwise they contaminate all the recyclables around them and none of it is acceptable for recycling. Be sure to pay attention to recycling rules where you live and make sure you are using the correct bin for your recycling. I haven’t eaten red meat since I was about thirteen. Six years ago I gave up chicken and then a year ago I gave up fish. Now I’m full on vegetarian leaning towards veganism. The only thing I haven’t given up is yogurt and eggs. My husband is on board with the idea so it isn’t difficult to make meals we can both eat and enjoy. Eighty million tons of waste in America alone comes from food packaging each year. A few months ago I started buying many of my groceries from Bulk Barn to cut down on packaging waste. 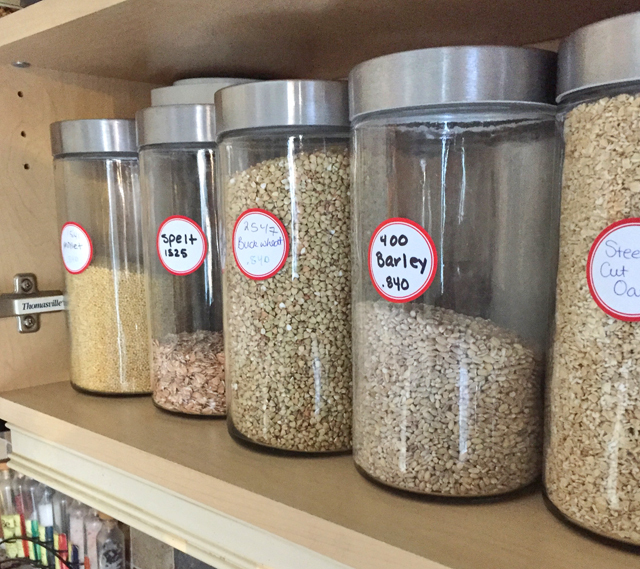 Buying from bulk bins while using my own containers is saving me money and I’ve discovered some exciting new ingredients to include in my homemade overnight oatmeal. I avoid more packaging by cooking and baking rather than buying prepared convenience food. I can put a healthy salad together in just a few minutes, faster and better than any restaurant or takeaway. In this year alone every man woman and child will consume about 300 pounds of single use plastic. I’ve started keeping glass Tupperware and two sets of cutlery in my car in case we do get take-out to avoid single use packaging. 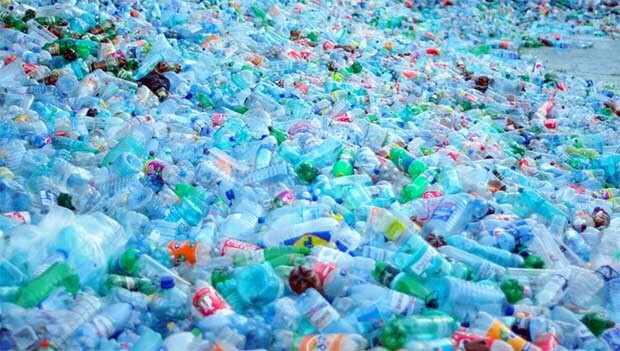 The United States throws away 2.5 million plastic bottles every hour – about 42,000 per minute, or about 695 per second. 63 billion gallons of oil are used every year just to supply the US with plastic water bottles. It goes without saying that for many years I’ve had my own water bottle that I keep with me. That is a no brainer. Is there anything worse than seeing an ocean full of plastic water bottles? Maybe seeing plastic caps and microplastics in the stomachs of birds and marine life. We are killing them with our garbage. Over 100,000 marine animals die every year from plastic entanglement and ingestion. In one of the documentaries I watched one baby bird had 276 pieces of plastic in their body, 15% of their body weight. Once you see that you’ll never see any plastic the same way again. The destructive power of our culture of mass consumption, and humanity’s damaged relationship with the living world is devastating. There are 25 trillion pieces of plastic debris in the ocean. Of that, 269,000 tons float on the surface, while some four billion plastic microfibers per square kilometer litter the deep sea. The entire surface of the earth is turning into on massive garbage dump. It is sickening. I try to buy secondhand first. 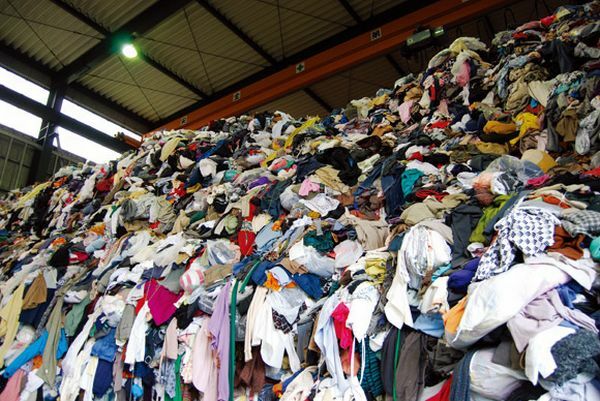 Over 11 million tons of recyclable clothing, shoes, and textiles make their way into landfills each year. Consignment stores, Etsy, thrift stores, Kijiji, Craigslist and Ebay make buying secondhand easier. Voting with our dollars is the only way we will make the retail industry wake up and be responsible. Fast fashion is the second largest polluter in the world. 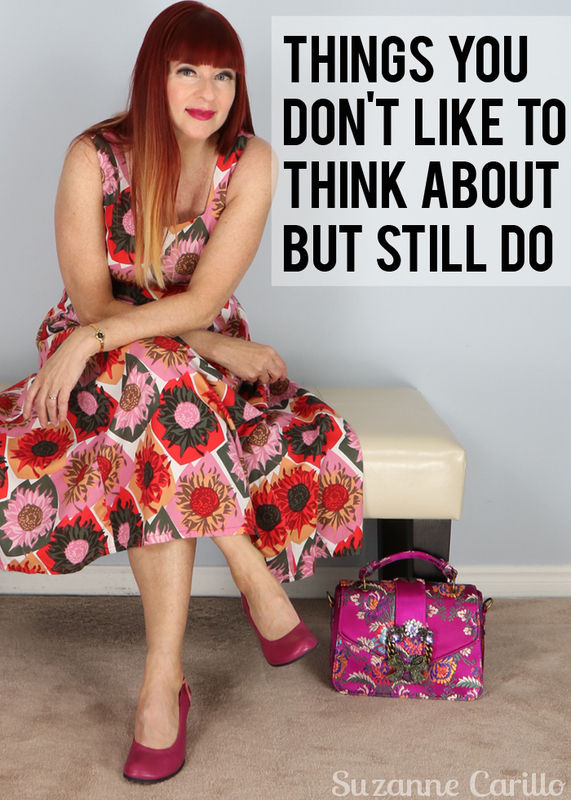 I’ve stopped buying fast fashion and promoting them in social media. A closed loop system where companies are responsible from the production of a product to the recycling of that same product when it is no longer wanted is imperative. It is up to us to make our governments wake up and impose regulations and fines on industries that pollute and exploit the planet’s resources. Worldwide we use an estimated one trillion plastic bags each year, nearly two million a minute. For years I’ve carried my own reusable shopping bags or bins for thrifting or grocery shopping. The typical time a plastic bag is used is for just twelve minutes. This is a real easy step to take for our environment. Did you know that in the last 10 years we have created more plastic than the entire century before that? 10 years versus 100. That is how much our use of plastic has surged. Half of all plastics created are single use. There are 2 million tons of plastic going into US landfills every year. In this year alone every man woman and child will consume about 300 pounds of single use plastic. By 2025 ten times more plastic each year is estimated to be dumped into our oceans. Start changing your view of plastic. It doesn’t disappear or deteriorate when you throw it away. It’s here forever. Reduction of usage is our only hope. 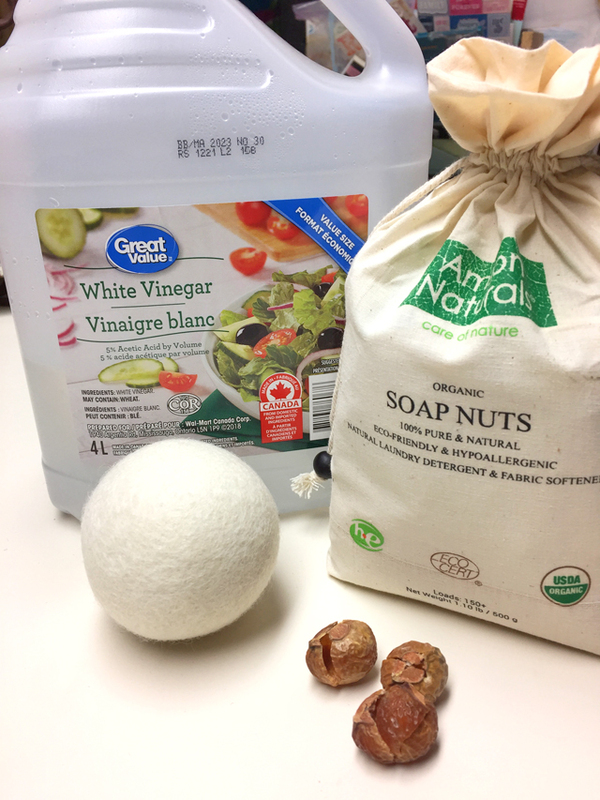 I’ve switched to using soap nuts for our laundry and drier balls instead of fabric softener sheets. I also often use vinegar when doing laundry. It helps remove bad smells sometimes associated with pieces bought secondhand. We’ve cut way back on our use of chemicals for cleaning. Many cleaners contain toxic chemicals which go into our water systems and our lungs as we are cleaning. It’s healthier for me and the planet to clean with safe alternatives. I also save money. I now use baking soda or vinegar instead. Vinegar added to some water works on many surfaces and is a great substitute for Windex. Baking soda is used as an abrasive to clean stubborn build up in kitchens and bathrooms. In the kitchen we now have reusable covers for food and some beeswax fabric sheets instead of plastic wrap. They both work great! Our thermostat is set to reduce heat and energy at night while we are sleeping. We have low flow toilets and shower heads. Our lights are LED. We try to pay attention to our use of electricity and only use what we need. We only own one vehicle (which we’ve had for many years now) and my husband takes public transit into work. I’ve been watching some excellent documentaries about the environmental crisis and how it is impacting our world. The future of our planet is in jeopardy and it is up to us to educate ourselves and take action. If you only watch one documentary on the environment and climate change make it Before The Flood. I can also recommend The True Cost, River Blue, An Inconvenient Truth , A Plastic Ocean. If you have the opportunity to see the art exhibit Anthropocene don’t miss it. Photos, videos and interactive displays explain how man has changed the surface of the earth and impacted the future of the planet. If you can’t catch the exhibit you can watch the film Anthropocene. I’ll be honest, when I began binging on all these documentaries and informing myself of the dire situation of our planet I became despondent. This article and the quote below best describe how I feel. We can’t address an existential threat with our fellow citizens standing in our path. They rob us of the hope we need to save ourselves. Realizing we’ve permanently altered our planet and its future is heartbreaking. The planet doesn’t belong to us. We are but one species living here and we have ruined it for all. We can no longer turn our backs on this. Educate yourself and take responsibility for your choices. It is a step in the right direction and in the process you may motivate someone else to do the same. I’ve made a conscious choice to take positive steps on a personal level to ensure I’m helping the planet rather than hurting it. Every day I’m learning more and trying to make better choices. Social media and blogging is encouragement for over consumption. 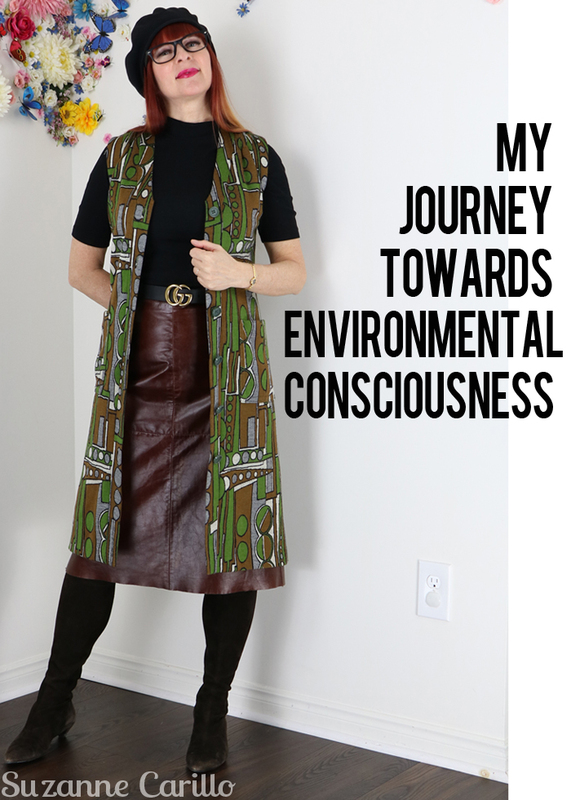 It is very difficult to be an environmentalist and a style blogger. Even showing secondhand items for sale my Etsy store can be construed as promoting consumption. Consumption reduction is the ultimate goal however buying something that already exists on this earth rather than using valuable resources to create something new is a sustainable option. By saving items from a landfill and giving them a second chance I know I am doing more good than harm. Do I feel guilty if I buy retail or over-consume? Absolutely but I don’t think that feeling guilty is a negative emotion in this circumstance. Being aware of my choices, how they affect the environment and how they make me feel is important. Feeling guilty makes me carefully consider the consequences of my actions and discourages me from making future purchases. That is a good thing. Although I try my best to educate others to the severity and urgency of our situation ultimately I can only be responsible for my own decisions. Many people don’t want to be told how to consume or live their lives choosing instead to close their eyes and ignore the problem. 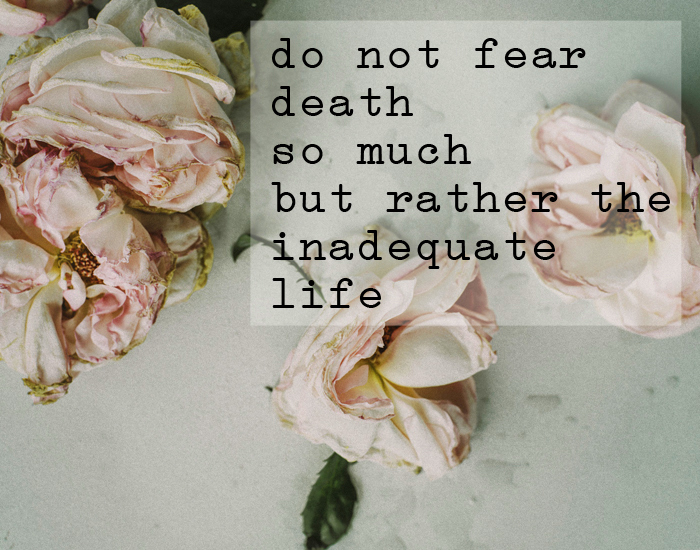 It is beyond discouraging. Trying to remain hopeful is crucial. This is when I lean on my husband and friends the most. Small choices in life can create big changes for our world. It’s not about feeling bad about what you’re not doing, it’s about feeling good about what you are doing and making positive changes towards a better future.